Academy Award®-winner Kathy Bates and Academy Award®-nominee Alfre Woodard star as the matriarchs of two very different families being torn apart by greed and scandal in the contemporary drama "Tyler Perry's The Family That Preys." The sixth feature film by Perry chronicles the inner workings of two families—one upper-crust and the other working class—that become inextricably linked by scandal. 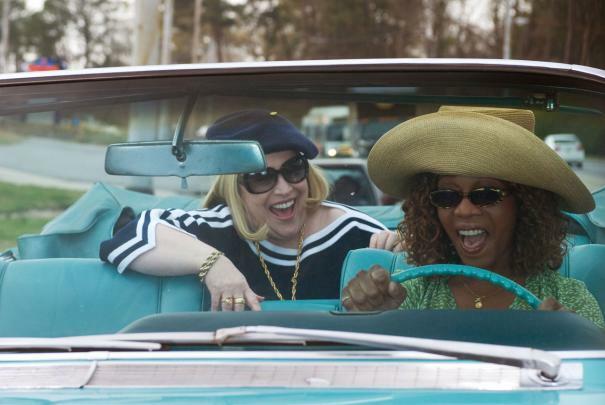 Wealthy socialite Charlotte Cartwright (Kathy Bates) and her dear friend Alice Pratt (Alfre Woodard), a working class woman of high ideals, have enjoyed a lasting friendship throughout many years. Suddenly, their lives become mired in turmoil as their adult children's extramarital affairs, unethical business practices and a dark paternity secret threaten to derail family fortunes and unravel the lives of all involved. Alice's self-centered newlywed daughter Andrea (Sanaa Lathan) is betraying her trusting husband Chris (Rockmond Dunbar) by engaging in a torrid affair with her boss and mother’s best friend’s son William (Cole Hauser). While cheating on his wife Jillian (Kadee Strickland) with a string of ongoing dalliances with his mistress Andrea, William's true focus is to replace the COO of his mother’s lucrative construction corporation. Meanwhile, Alice's other daughter Pam (Taraji Henson), a kind but no nonsense woman married to a hard working construction worker (Tyler Perry), tries to steer the family in a more positive direction. While paternity secrets, marital infidelity, greed and unsavory business dealings threaten to derail both families, Charlotte and Alice decide to take a breather from it all by making a cross-country road trip in which they rediscover themselves and possibly find a way to save their families from ruin in "Tyler Perry's The Family That Preys."